Artist and photographer Deborah Luster will give a public lecture, “Archive of Lamentations,” on Wednesday, February 22 in the Birmingham Room of the Bryant Conference Center at 6:30 p.m. Photography has done powerful things for Luster. Since the 1990s, she has used photography, installation and text to investigate her ongoing relationship with violence and its consequences. In 1988, her mother was murdered by a contract killer, and as a way of coping, Luster found herself looking through the lens. Luster is best known for the series, One Big Self: Prisoners of Louisiana, a collaborative work with poet C. D. Wright. The collection of photographic portraits portrays prisoners from three Louisiana prisons including the infamous Louisiana State Penitentiary at Angola. A short NPR video about Luster’s work is here. Deborah Luster’s work has been shown at the San Francisco Museum of Modern Art; Whitney Museum of American Art; Museum of Contemporary Photography, Columbia College, Chicago; Prospect.1, New Orleans; Jack Shainman Gallery, New York; Ballroom Marfa; David Winton Bell Gallery, Providence, RI; and Blue Sky Gallery, Portland, OR; among other venues. 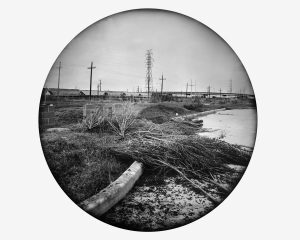 Luster’s awards include the Dorothea Lange—Paul Taylor Prize for Documentary Photography from the Center for Documentary Studies at Duke University (with C. D. Wright); Anonymous Was a Woman Award; among many others. Her work is included in the permanent collections of the Whitney Museum of American Art, San Francisco Museum of Modern Art, Los Angeles County Museum of Art, Museum of Fine Arts in Houston, New Orleans Museum of Art and other notable public and private collections. Deborah Luster’s public lecture is sponsored by UA Department of Art and Art History, the Department of Art and Art History’s Visiting Artist Committee, photography and digital media areas; the College of Arts & Sciences; the Summersell Center for the Study of the South; and the College of Continuing Studies.